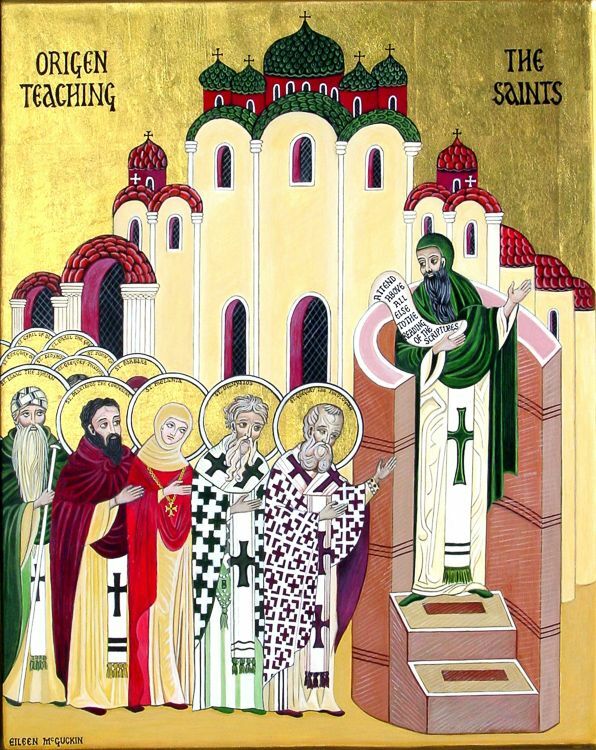 Ask where and when the Eastern Orthodox Church condemned universalism and one inevitably hears mention of the Fifth Ecumenical Council, the Second Council of Constantinople (553 CE). It was here that the great Christian scholar, Origen of Alexandria, and several of his teachings, including his alleged belief in universalism, was anathematized. Thus one need only look to this council to demonstrate that universalism is heretical. Now, it may be the case that adherence to universalism is erroneous for myriad reasons ranging from the text of the Bible itself to the liturgical traditions of the Church, but can The Fifth Ecumenical Council (referred to as Constantinople II for the duration of this article) rightly be included among these reasons? Studying the developments of Constantinople II with the supposed universalist condemnations in mind reveals several peculiarities. First, the primary impetus for convening the council had nothing to do with Origen or his teachings. Rather, the Church faced a dilemma regarding how to best answer Nestorius and his supporters in the School of Antioch, who advanced a controversial christology involving a radical distinction between Christ’s humanity and divinity. One wonders why Origen, a man associated with a different Christian school and three hundred years removed from this dispute, would have been introduced to the conversation. The second oddity involves Origen as person. Though his was indeed a divisive legacy by the fourth century CE, he was nevertheless regarded as a masterful scholar who had suffered on behalf of his Christian convictions and lived an exemplary life. Furthermore, he counted among his friends and devotees some of the most beloved and influential saints of the Church, including St. Athanasius of Alexandria and the Cappadocian Fathers, St. Gregory of Nyssa, St. Basil of Caesarea and St. Gregory Nazianzen. It is difficult to find other instances wherein such an influential church scholar was condemned by an ecumenical council posthumously, and so long after his death. Third, and perhaps most damning, the official anathemas from Constantinople II, those sent to and agreed upon by Pope Vigilius make no mention of Origen. In fact, many scholars are in agreement that the fifteen anathemas against Origen did not originate at Constantinople II but at a local synod a decade prior in 543. Nevertheless, some claim that these anathemas were reaffirmed by Constantinople II, thus granting them authoritative status. This claim, however, maintains a dubious status among scholars. For instance, Richard Bauckham is doubtful that Constantinople II had anything negative to say about universalism (“Universalism: a historical survey”, Themelios 4.2 (September 1978): 47–54.). Finally, even if one holds that the Fifteen Anathemas stand, and among these is included a condemnation of Origen’s universalism, pressing questions remain, especially regarding what one is to make of universalist saints like St. Gregory of Nyssa and St. Isaac the Syrian. A special thanks to Fr. Aidan Kimel, from whom I drew inspiration and content for these articles. ← Is Universalism a Heresy? – Part I: What is a Heresy? I wonder about the accuracy of this statement, Cam. My limited reading suggests that many scholars now entertain the possibility that the 15 anathemas originated perhaps at a meeting held sometime before the formal beginning of II Constantinople. Any further thoughts on this? I can only speak to my personal exploration of the scholarly material over the past few years, which seems to indicate that the Fifteen Anathemas are widely regarded as having been absent from the proceedings of Constantinople II, but your challenge is well-received. I will edit this section accordingly. Great resource Cameron! I’m trying to keep a running list of Universalist resources over at my blog. I will link directly to this series. Excellent quote by Met. Kallistos! I have often had people cite Constantinople II as evidence of apokatastasis being heresy before. It is absolutely vital to read the language of the anathemas as a single document, a unified whole. From my reading at least – and seemingly that of Met. Kallistos as well – the anathemas are targeted towards an entire group of theological propositions taken together rather than each individual bullet point alone. A great summary. Thanks for posting it! This blog discusses a variety of topics: historical, religious, political, social, theological, philosophical, and more. The goal of the blog is to discuss beautiful ways of life that lead to a more authentic existence.